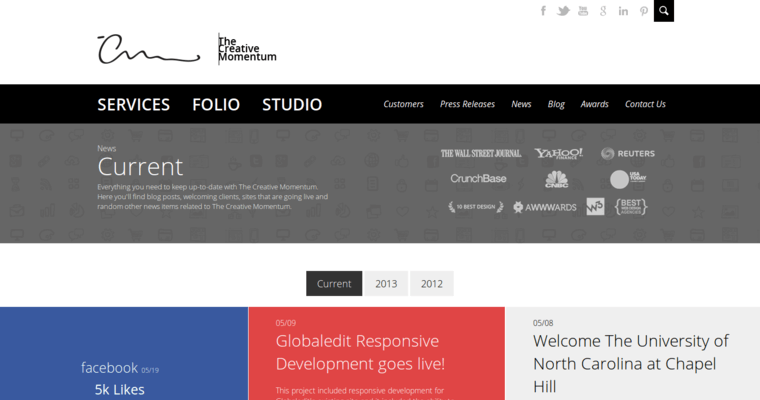 The Creative Momentum is a full service digital marketing and web design firm that is based in San Diego, California. 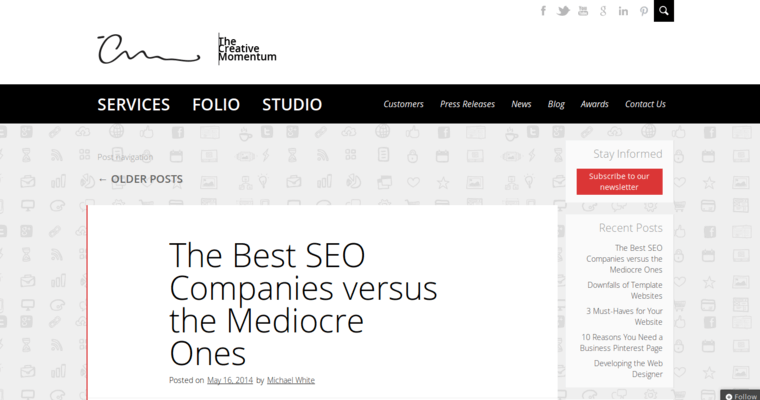 This company was founded in 2007 and specializes in the development of projects that link customers to business bases in unique and interesting ways. 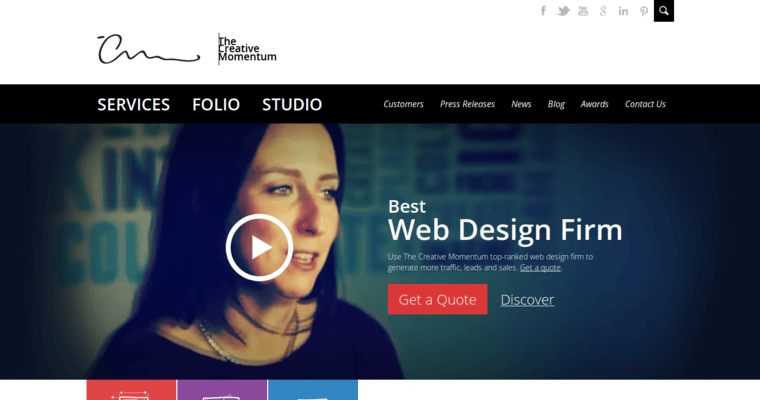 The Creative Momentum offers extensive services in the area of web design, which include the following: copy writing and editing web support custom site design e-commerce web development user interviews usability testing market and competitive analysis Sandbox integration Drupal integration multi site support intranet integration platform scalability search engine marketing email marketing video production and integration The Creative Momentum has developed projects for many prominent businesses including Splat Hair Color, Physicians Formula Inc., and Spotloan.